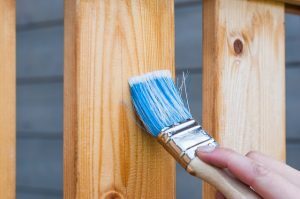 Preserve the wood on your Raleigh fence with repainting and refinishing services from the home exterior restoration services leaders at Osborne Painting. Oftentimes, merely pressure washing a fence won’t totally do the trick. You can clean it, but the lack of a recently-applied wood finish or coat of paint can leave the door open for a slew of problems. At Osborne, we can sand and strip the area and apply a new coat and finish to keep your deck or fence in it for the long haul. We take our promise to provide “Quality Work, One Step at a Time” seriously. Shortcuts are never taken. Whether it’s cleaning, preparing, sanding, caulking, priming, or painting, all steps are completed before moving on to the next. We’ll take the time to get the job done right. Helps Prevent Damage – Since wood is natural, it’s susceptible to deterioration from the sun and rain. If wood is not treated, finished and waterproofed on a regular basis, that deterioration can be very rapid. Allowing Osborne Painting to paint your fence, stain it, or refinish it will prolong the life of your wooden fence and decking. Increases Safety – Wood in need of sealing and waterproofing finishes can be prone to damage in the form of splintering, loose boards, exposed nails and more. These issues can become larger problems, especially if you have young children around, or if you spend a lot of time outdoors. Treated, finished wood can stand the test of time, insulating property owners from accidents, falls, splinters, and other dangers. Maintains Quality Look – Having your fence repainting or refinishing done by an expert Raleigh painting company like Osborne Painting will keep your fence looking great all year round – you’ll be the envy of the neighborhood! As mentioned above, painting your fence can increase its lifespan while also improving the look and feel of your home overall. Depending on your location, paint can be stripped from wood fences. For example, painted fences have been known to be stripped in areas of heavy rainfall and minimal amounts of sunlight, such as homes in the mountains of North Carolina. On the other hand, homes near the beach experience large amounts of salt in the air, which could become an issue for some types of wood and paint. The type of wood used is also a primary factor when it comes to painting or staining wood fences. For example, cedar is tough to paint, as it is porous and needs to breathe. This said, stain will be the best option because it seeps deeply into the wood as opposed to paint. On the other hand, oak, maple, and pine are dense and work well with both paint and stain. 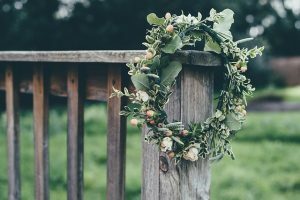 By having a great understanding of what you’re looking for, you can maximize the aesthetics of your home.